The Fellowship was fortunate enough to obtain a copy of THE HARD PLACE #1 from Image Comics and 12-Gauge Comics. 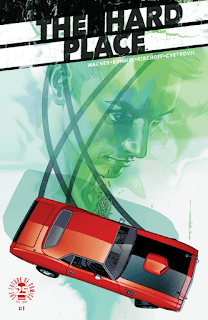 Doug Wagner writes, Nic Rummel draws, Charlie Kirchoff colors, and Frank Cvetkovic letters. AJ is getting out today, five years in the joint. Now he’s ready to start a new life on the straight and narrow. He’s cutting ties with the Russians and working in his dad’s garage. But the garage isn’t doing so well, and they need a little help. So AJ heads to the bank (the one that got him those five years) to apply for a loan. And that’s when things start to get complicated. Unfortunately for AJ, getting out is never that easy. This issue makes AJ a likeable character; sure, he’s made mistakes, but he’s done with that now. It also gives him a very difficult problem to solve, which is a great start for a story. And the art is great at pacing the story, as well as showing us brief glimpses of violence (crime story after all). Tough choices and wrong place wrong time stories are great for building drama, and this one does that very well. And I like AJ enough to want to know how he’s getting out of this. Go check it out. 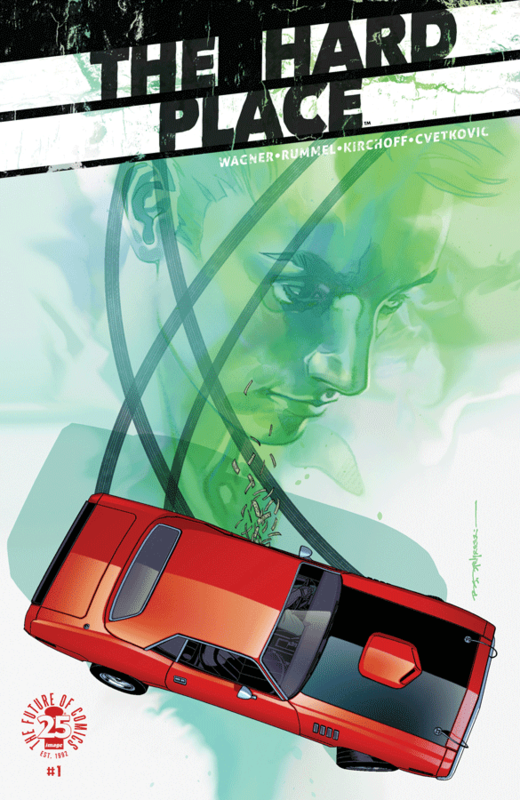 THE HARD PLACE #1 is available now from your local comic shop, or online at imagecomics.com.